Some desserts are yummy. Some are sweet. Some are decadent. Some are all of the above and then some. 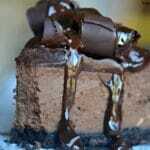 This dessert is perfect. 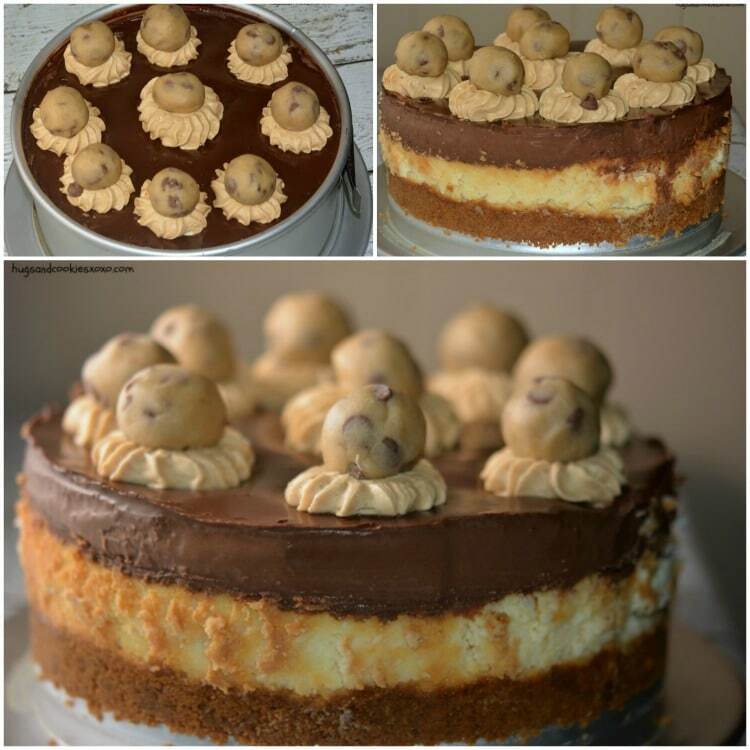 That is, if you adore cheesecake as much as I do. In fact, this cake starts out with the best cheesecake recipe ever. 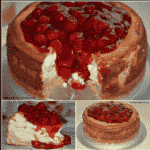 It is adapted from the famous Junior’s Cheesecake recipe. I mean, it has 4 packages of cream cheese in it plus heavy cream…how bad can that be?????? 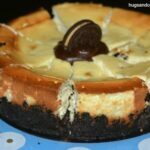 If you are a cheesecake fanatic I highly recommend you try this. It makes tons so you will have enough to feed a crowd and it is perfectly rich so your company will Ooooooh and Ahhhhh over your creation. 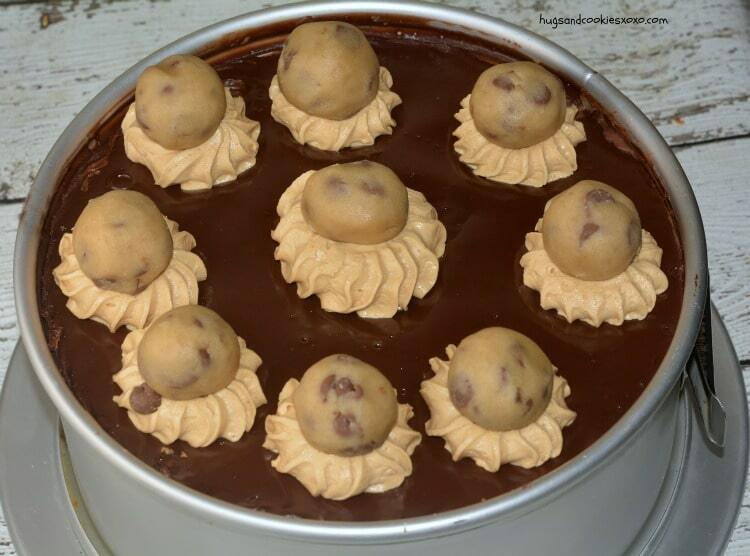 And yes, tell them to feel free to eat the cookie dough right off the top…because they will ask. Trust me, they will! ⅔ c. Skippy peanut butter-creamy! Beat all ingredients except the chips. Once smooth, fold in the chips. 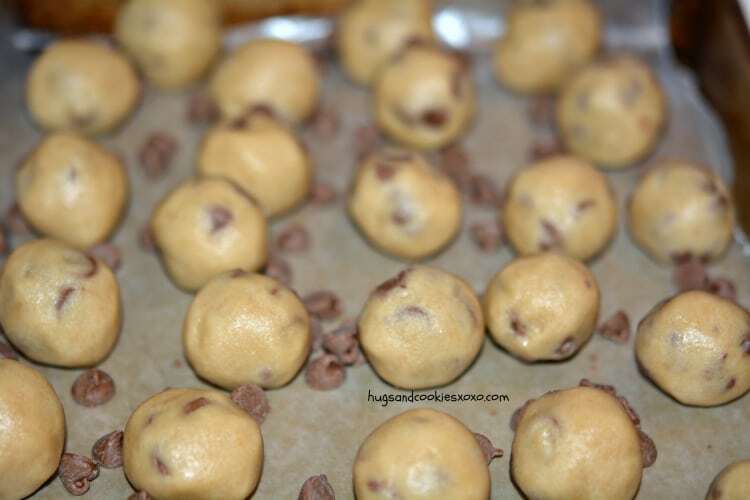 Roll into cookie dough balls and chill to firm. Beat pb and butter and slowly add sugar. Pipe onto cake once the ganache has set using pastry bag. 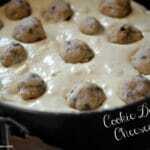 Top the decorative circles with the chilled cookie dough balls. 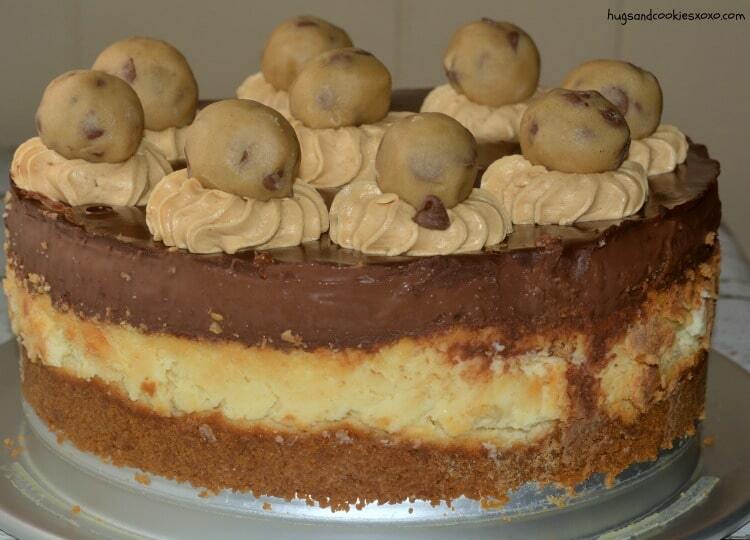 This Cookie Dough Cheesecake looks good but I don’t like peanut butter except on toast!! What substitute frosting can you suggest please!!! Sub the peanut butter for cookie butter or Nutella. What a goddess! Put every single yummy, naughty food into this! Love it! That time of year, and the die-et, gyms, resolutions are craziness! Believe all things in moderation. No clue about feasting to extremes at Thanksgiving. Well, because we eat good ALL. year! Just not in a gluttonous fashion. AND,I like to play for exercise. Worked. in gyms and was a trainer for years, and,well,is a racket.Was a fantastic aerobics instructor, but could NOT sell a gym membership for the life of me! Am too honest! 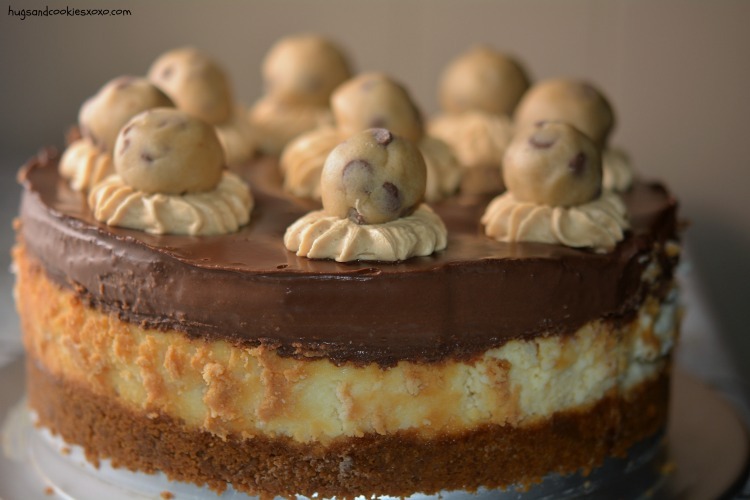 Anyway, love cheesecake, who doesn’t love cookie dough, peanut butter, carry a jar with me at ALL times!! Thanks and A Very Happy and Blessed New Year to the “Barbie and Ken Family! Hugs!! YOU are the cutest!!! What a smile your message brought to me!!! Thank you!!!! These sound so delicious. I want to try each and every one, at least once.